The Japanese calendar declares that the season for gluttonous eating is upon us. Fall approaches in spirit amid the lingering heat of summer, and Häagen-Dazs Japan is at the ready with two new ice creams. 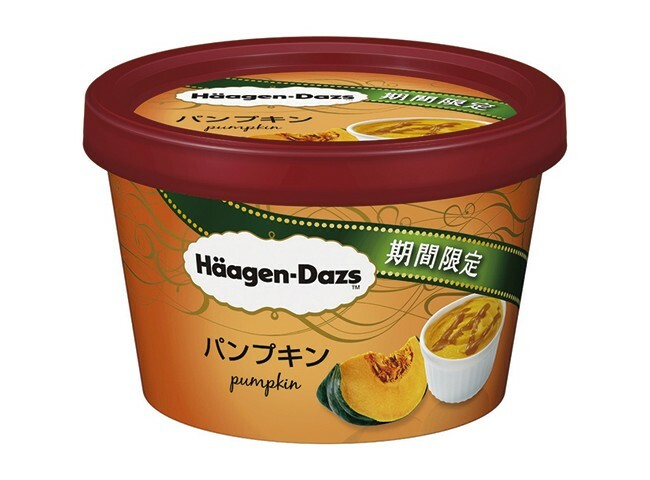 Halloween and Thanksgiving come early with the newpumpkin (¥284, out 8th of September) flavor, while the waguri (Japanese chestnut, ¥284, out now) offers a taste of fall in Japan. What better way to welcome the new season than with a mini-cup of autumn harvest? Available at convenience stores and supermarkets nationwide.